Christmas is here! Yule logs are burning, the mistletoe is in place, hung high on the roof and your stockings adorn the fireplace. The Christmas tree is bejeweled with the best ornaments and fairy lights. Even the Angel on top of the tree is placed at the perfect angle. Everything is set and just fine and dandy. Still, why does it feel like there is something missing or has the holiday spirit skipped you. Well, worry not. 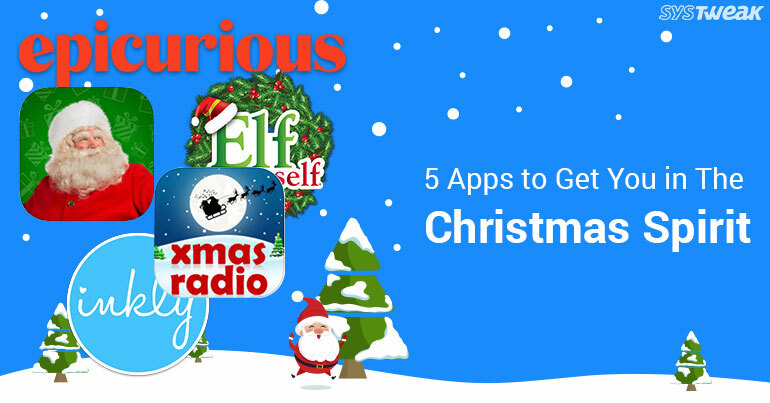 We offer to you 5 amazing apps on iOS devices that can help bring out a smile to your face and get you set with the holiday spirit. There you have it. We bet this list helps you forget everyday hassles and office politics and settle down to welcome the holidays with a cheer in your heart and a smile on your face. Embrace the Christmas Spirit. It is a magical time to spend with family and friends. Rejoice and Happy Holidays!